With the entry period for the 2006 Sports Car Challenge coming to a close (late entries are still welcome, of course), the picture is becoming clearer, and it is time for a first segment of pre-season news. The SCC’s Division 1 is where cars from the Le Mans universe meet the new breed of lighter sports prototypes. Representing the LMP world this year will be French manufacturer, Norma. Team RWT Racing from Germany has taken possession of an M2000; the image shows the car at its first pre-season test, with Grand Am regalia from its outings in North America still in place. Team owner Gerd Beisel, seen at the wheel here, will drive the car throughout the season. Power comes from a 4l BMW-derived Mader V8, which according to the team produces close to 600bhp. While the Norma has to run at its accustomed weight of 900kgs, others are taking the “less is more” approach. 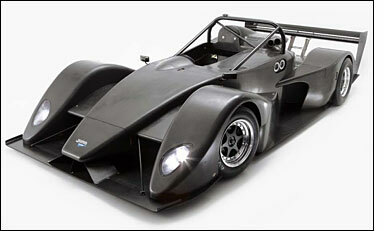 Juno presents a Nissan-powered version of its SS3, for driver Mike Roberts. 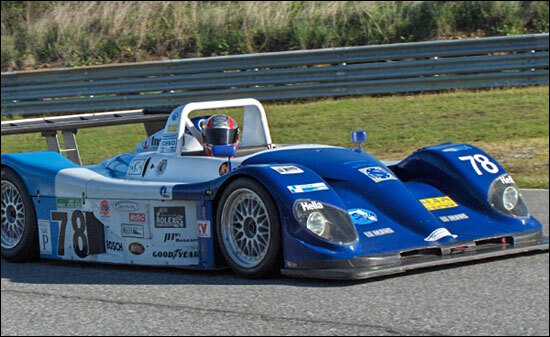 After some early races with a Lola B2K/40, Roberts introduced the SS3 to the series at last year’s Lausitzring race; that car had the Jaguar V6 engine that is “standard” in the SS3. This year, forward propulsion will come courtesy of the “around 400bhp” from the AER-built Nissan SR2/LMP2 V6. With a weight advantage of 225kgs over the Norma and other over-3.4l engined cars, and the smaller cars are still an attractive proposition. Pedrazza Racing Cars has also not been idle over the winter and will present its new challengers for both Division 1 and the 2500cc Division 2 in the near future, so more news will follow over the coming weeks.